Meera, after an enthralling performance by Wild Dreamer Productions in front of a packed 1100 seater auditorium in Gold Coast, Australaia, we are excited to perform at ASB theatre in Auckland. This new stage spectacular will premiere for the first time in New Zealand on the 31st May, 1st and 2nd June 2019, shining a spotlight on cultural diversity and harmoniously connecting people from all walks of life, in a single pursuit of passion. 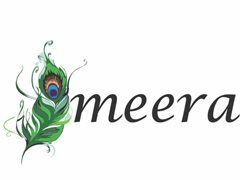 Meera, an inspired love story descended from Northern India in the 16th century, tells of the unconditional love of Meera with Krishna, in an interlude of theatrical dance, drama and beautifully narrated story-telling. By combining ballet, Indian contempo- rary, African contemporary, tap, aerial, pole and classical dance with an amateur cast and crew of all ages and backgrounds, the production aims to immerse the audience in an experience of true love and passion, without the barriers presented by different cultures and religions. Featuring original music from India’s most esteemed composers, authentic hand-crafted costumes, and next generation visual effects overlaid on the stage, Meera will tell the beautiful story of passionate love prevailing above all else. Auditions: 5-9pm 17 & 18 January 2019, 9am-12pm 19 January. Rehearsals: Every Sunday from 28 January 2019 to 26 May 2019.